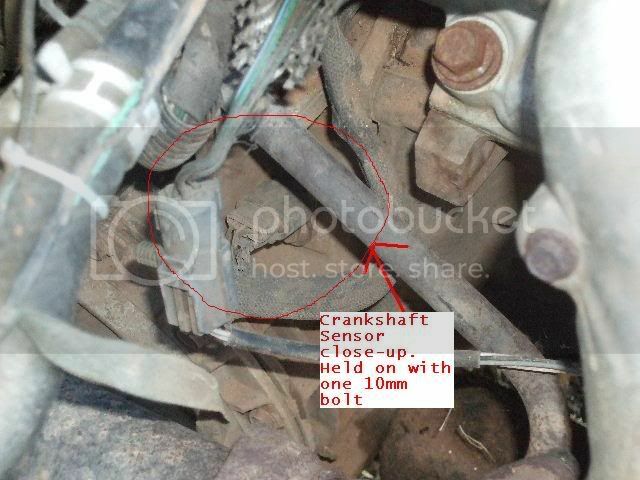 The crankshaft sensor is located on the passengers side of the transmission housing, above the differential housing . Install sensor and push sensor down until contact is made with the transmission case. 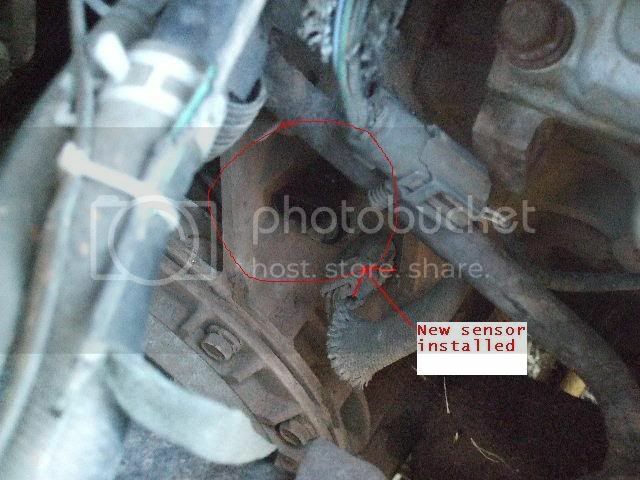 While holding the sensor in this position, install and tighten the retaining bolt to 12 N·m (105 in. lbs.) torque. Connect electrical connector to crankshaft position sensor. This is about as painless a repair as they come. #1. 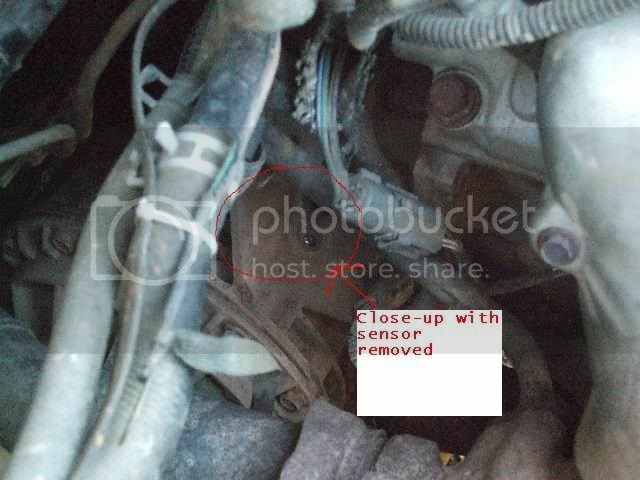 Remove the intake piece between the airbox and the throttle body. #2. Look just above the bell housing and you'll see the sensor sticking out. #4. Using a 10mm socket, remove the single bolt holding it in. #5. Slide old sensor out. #6. Slide new sensor in, put bolt back in and tighten . #7. Put connector back on, install intake piece and you're done. Sometimes, it is very tight and hard to remove. Twist the sensor in the bore as you pull outward, it gets tight due to build up on the in-board end of the sensor. 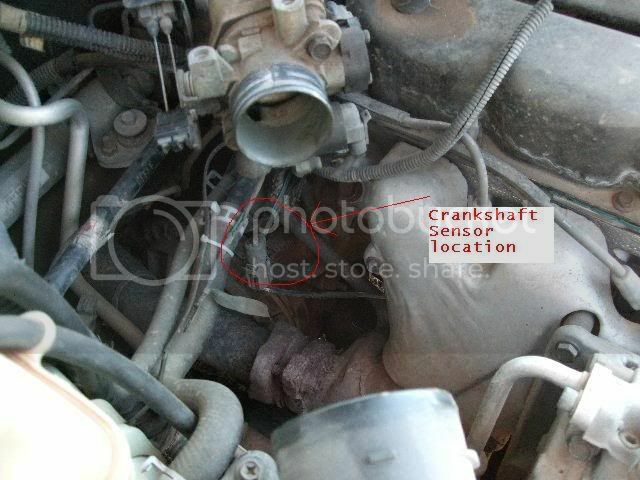 Labels: how to replace crankshaft position sensor on 99 dodge intrepid.